When I first started doing makeup I had no clue what highlighting and contouring was. But as I gained more knowledge in makeup, I learned what a difference highlighting and contouring actually does to the face. 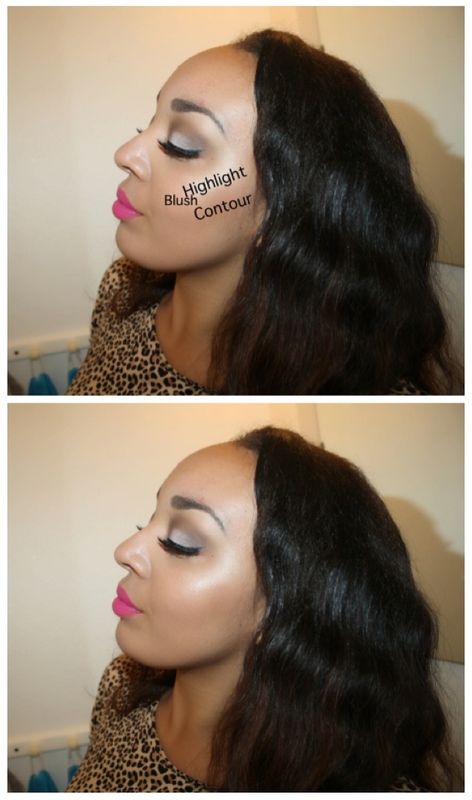 So in today’s post I will be sharing some basic tips/advice on contouring and highlight. Contouring adds definition and structure to the face, which will give the appearance of a slimmer face. There are several products to use when contouring; powders, creams or liquid. For beginners and for a everyday makeup look, I would recommend using a bronzer or a darker shade of face powder for a natural contouring. When highlighting your face, attention will be drawn to those features and will make them stand out. There are shimmery and matte highlighters in powder or liquid formulas. I love using shimmery highlighters, it just gives the skin such a nice glow. Contouring and highlighting is all about adding shadows and to highlight certain parts of your face, which makes the face look more dimensional. If highlighting and contouring isn’t a part of your makeup routine I definitely think you should give it a try, it certainly will take your makeup to the next level! A post on advanced highlighting and contouring Kim Kardashian style, shall be posted soon! Do you contour and highlight your face? Ims o glad you posted this as I’ve heard about it but never knew where your put the products so have never had a go at it. ..I didn’t but I certainly will now, well actually I did in my own way but the way that you have just shown will certainly be the way that I will do it from now on, starting tomorrow morning! Thx this was helpful! But for me when i contour my face from the side looks funny cause i have a small face area so contouring is hard for me but great post anyway!